CarGurus has 13,382 nationwide Ridgeline listings starting at $3,499. Sort of a cross between a small pickup and a midsize SUV, Honda’s 2014 Ridgeline is difficult to label. Honda insists this niche-defying, 5-passenger, 4-door Crew-Cab-configured oddball is indeed a truck, and with a 5-foot bed and fold-out bed extender, it will doubtless haul its share of homeowner-oriented stuff. 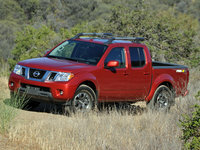 But for heavy-duty hauling, the larger bed found in the typical dedicated full-size pickup, or even a pint-size version like Nissan’s Frontier or Toyota’s Tacoma, will offer more traditional toting and hauling capability. In any case, for 2014, the Ridgeline will gain a new top-shelf trim, the SE, joining the traditional lineup featuring the base RT, the gussied-up Sport, the higher midlevel RTS and the once-flagship RTL. All trims again carry the traditional V6 power and Honda’s VTM-4 adaptable all-wheel-drive (AWD) technology that features the usual cruising capability in rear-wheel drive (RWD) until slippery conditions force torque to be automatically shifted from the wheels that slip to the wheels that grip. Honda’s driver-selectable VTM-4 Lock system, meantime, allows the driver to lock the rear differential to engage true 4-wheel drive (4WD) up to 18 mph in either forward or reverse when the Ridgeline is starting out in snow or mud. However, be advised that true off-road capability is beyond this quasi-pickup’s intended abilities. One thing this sort-of-pickup does have over its more workmanlike peers is a handy under-bed compartment that allows dry storage of, for instance, luggage or groceries without taking up valuable cab space. The disadvantage is that the bed must be emptied to get at whatever’s stowed beneath… including the spare tire. Power for all 2014 Ridgeline trims is a 3.5-liter variable-valve-timed (VVT) V6 engine that remains under the management of a 5-speed automatic transmission. Look for 250 hp and 247 lb-ft of torque from this combination, which is good enough for some 5,000 pounds of properly equipped towing capacity. Mileage, meantime, is estimated at a tepid 15 mpg city/21 highway. Adorning the exterior of the base Ridgeline RT for 2014 are 17-inch steel wheels, a power sliding rear window, a trailer hitch and wiring, and an auxiliary transmission fluid cooler. Inside, look for cloth upholstery, front bucket seats, full power accessories, cruise control, tilt-wheel steering, a standard rear-view camera and manually operated air conditioning. Additionally, a 100-watt audio system features a single-CD player and 6 speakers. The Sport offers 18-inch painted alloy wheels, leather and simulated alloy cabin accents, special exterior trim enhancements and auxiliary iPod input, while the RTS again boasts 17-inch alloy wheels, a power-adjustable driver’s seat, dual-zone climate control and a 160-watt audio upgrade sporting a 6-CD changer with 7 speakers. The penultimate RTL trim adds the 18-inch alloy wheels to a power sunroof and heated power-adjustable outside mirrors of its handsome profile, while tossing in added cabin bling like leather upholstery, heated front seats, a remote garage door opener, leather interior accents and satellite radio. It’s anticipated that the new SE trim will flaunt, besides everything aboard the Sport and RTL trims, unique black-painted wheels, black leather cabin trim accents, specialized graphics and badges, and possibly standard hard-drive-based navigation interfaced with Bluetooth hands-free calling. Said navigation and Bluetooth integration is essentially the only optional equipment available to this semi-pickup and has historically been offered only to the RTL trim. Finally, standard safety equipment aboard each and every 2014 Ridgeline includes 4-wheel antilock brakes (ABS), traction and stability control, front and rear head airbags, front head restraint whiplash protection and front side-mounted airbags. 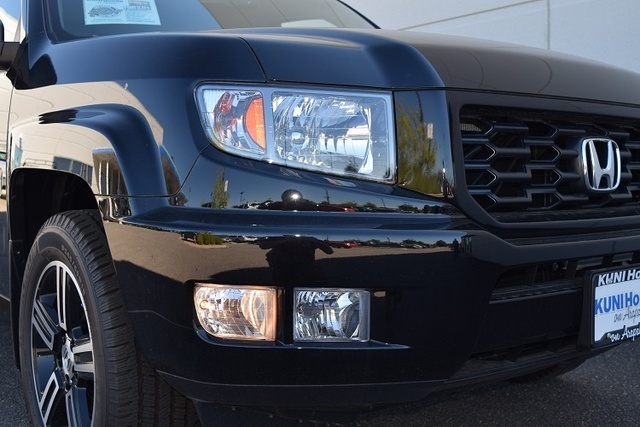 Additionally, daytime running lights endow each Ridgeline variation, while the Sport and higher trims remain delivered with standard front fog/driving lights. 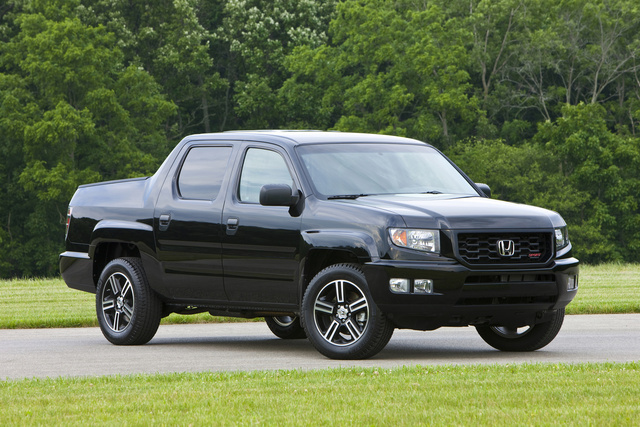 What's your take on the 2014 Honda Ridgeline? Have you driven a 2014 Honda Ridgeline? Driver Frontal Stage 3 Deployment Control (subfault) What Does This Mean? MicroMechanic lists this as a problem and "unsafe to drive"
Want to convert awd to a fwd can it be done? Does Anyone Make A Cold Air Intake For A 2014 Honda Ridgeline? I am looking for a cold air intake kit to hopefully add more mileage to my 2014 Honda Ridgeline. Any other recommendations (chips, exhausts, etc) would also be greatly appreciated.